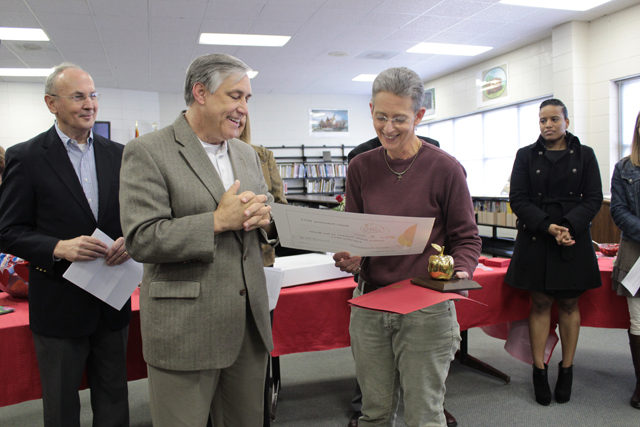 Children with extraordinary gifts need an extraordinary teacher, so when teachers at Northeast Lauderdale Middle School saw a chance to honor one of their own, they nominated Debbie Wedgeworth, who teaches fifth and sixth grade gifted students. 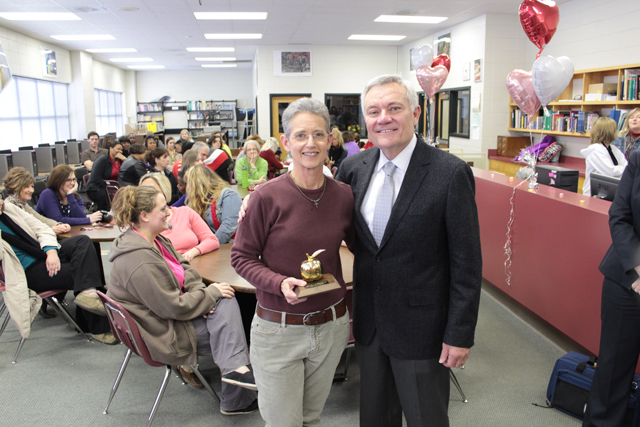 On Wednesday Wedgeworth was surprised to learn that she was named the February Golden Apple Teacher of the Month. 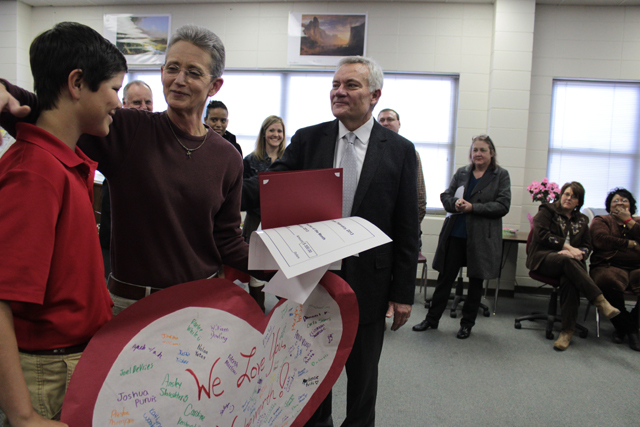 She was nominated by several of her colleagues at Northeast Middle School. 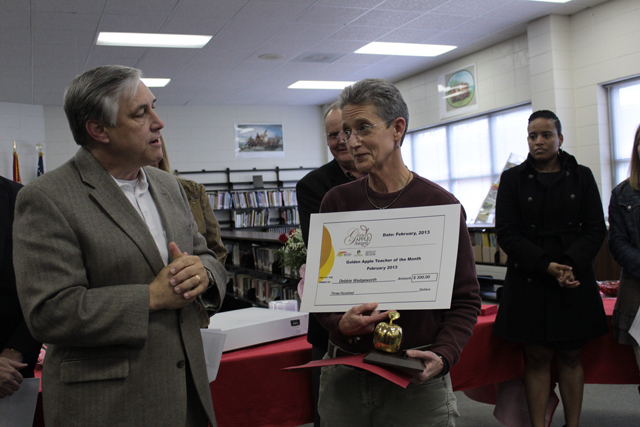 Participating sponsors of the Golden Apple Award read nomination letters and make the selection. 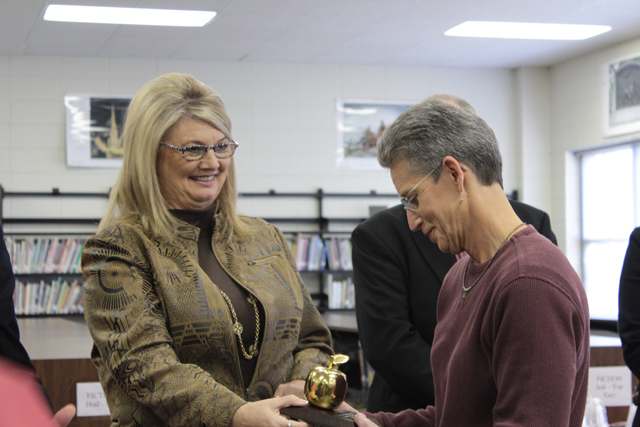 The winner gets a "Golden Apple" trophy and a voucher for $1,000 in school supplies, a $300 check and the chance to be named the Golden Apple Teacher of the Year in May. 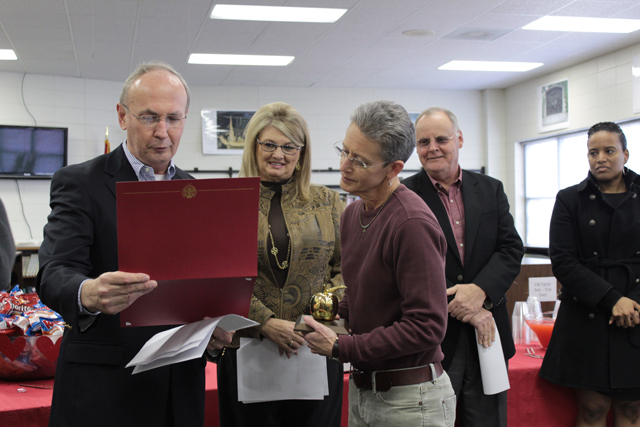 The winner also will have the opportunity to nominate a graduating senior for a scholarship. 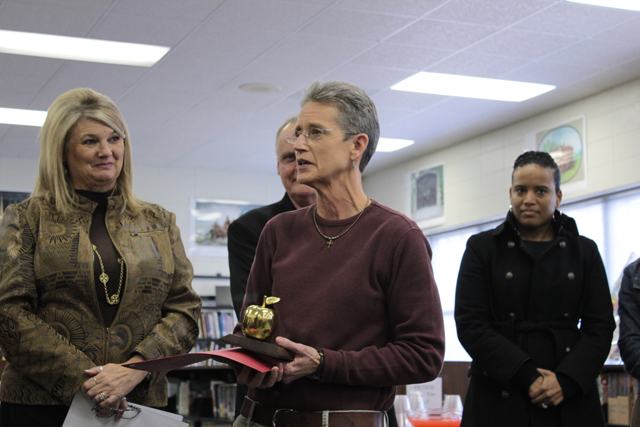 The 26-year teaching veteran is the second from her school to win the Golden Apple. 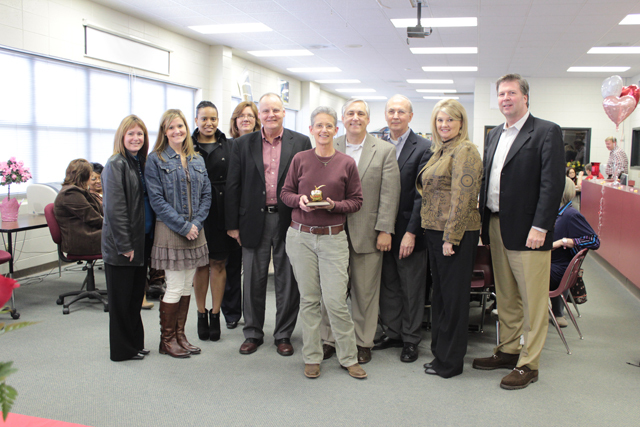 Pre-algebra teacher Kathy Moody was awarded the Golden Apple in November. 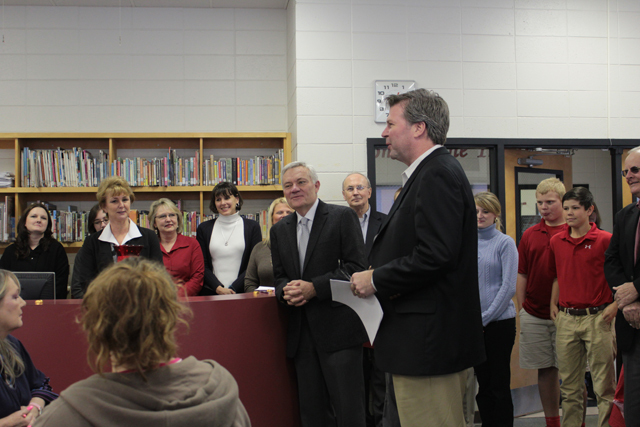 Billy Burnham, principal, said he is proud of all of his teachers. 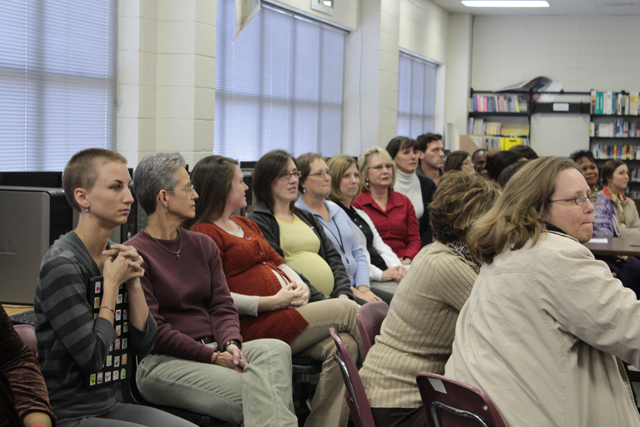 "We have a great teaching staff here. 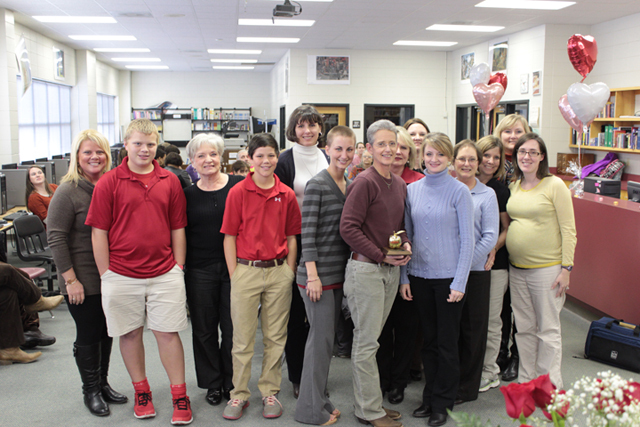 I tell people all the time that I'm most fortunate that I have the best set of teachers in this area," Burnham said. 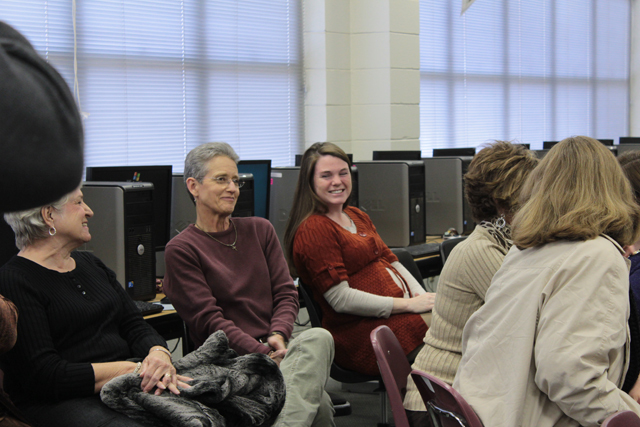 "Mrs. Wedgeworth loves what she does. 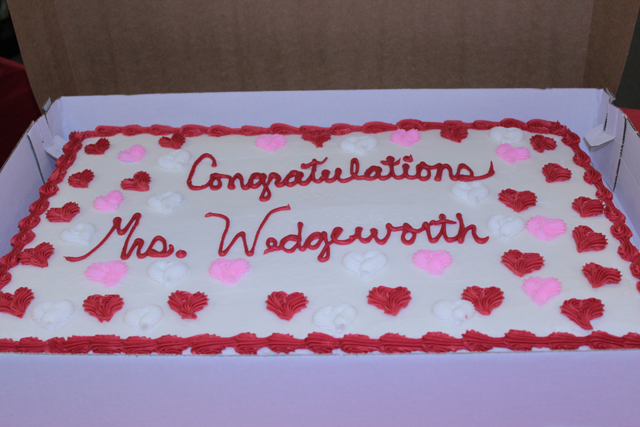 Mrs. Wedgeworth is a true professional. She carries herself in a professional manner at all times. She always takes adverse situations and handles them well." 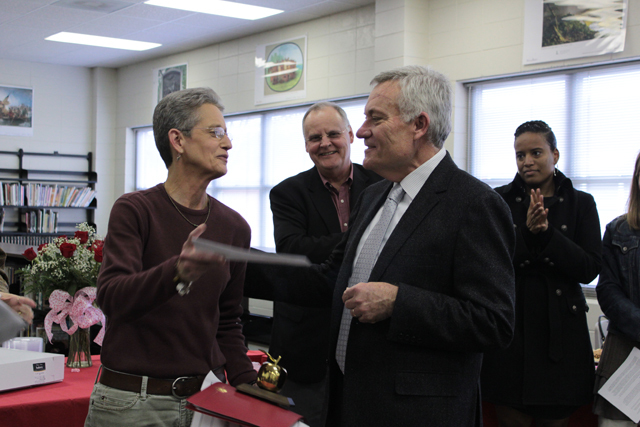 Wedgeworth humbly accepted the award, saying she didn't feel she deserved it as much as other teachers in her school. "It's just amazing to have something like this. I know that I love what I do; I love my kids, but to have other people realize that I really love my kids means something special," Wedgeworth said. 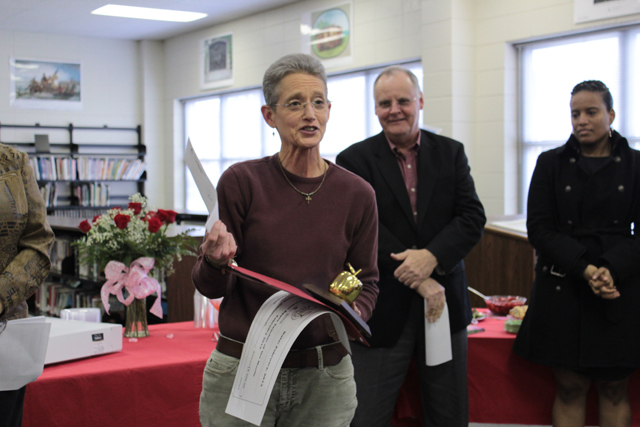 She said she tries to instill in each of her students the knowledge that they can do anything. 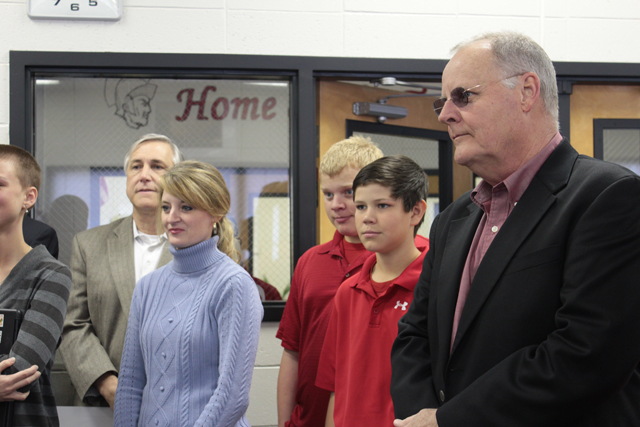 "I tell them that you cut yourself short if you don't try," Wedgeworth said. "You never know what you can do if you don't try."